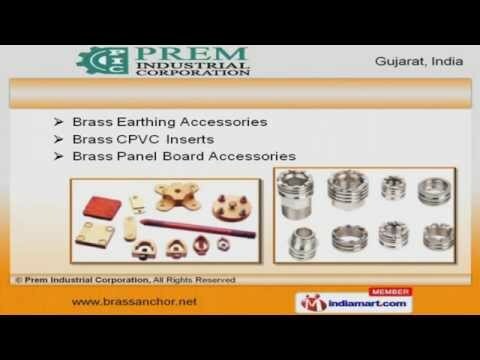 Welcome to Prem Industrial Corporation, Manufacturer and Exporter of Brass Metal Components. The company was established in the year 1974 at Jamnagar. Our Efficient logistics support helps us to Cater to East Europe, Middle Africa and other countries. International quality standards, Utmost client satisfaction and Convenient payment options make us the preferred supplier in the industry. We offer a huge gamut of Brass Anchors and Cable Glands. Our Brass Components and Hose Clamps are widely acclaimed in the market. Brass Earthing Accessories offered by us are well known for their durability. Our Brass Fasteners and Inserts are nothing but the best solution for all your needs. We also provide Brass Screw Cover Caps at industry leading prices. Along with that we offer Brass Transformer Parts that are best in the industry.